If you’ve been thinking about selling your home, here’s the #1 reason to sell your home NOW and not wait: Buyer demand continues to outstrip supply! It’s A Seller’s Market: Don’t Wait… Sell Your Home Now! It’s a seller’s market, pure and simple… and that’s a great reason to sell your home now and not wait. The most recent NAR Existing Home Sales Report showed that there is currently a 4.1-month supply of homes for sale nationally. This is lower than the 6-month supply needed for a balanced market. It’s also 6.1% lower than last year’s inventory level. The housing supply has been shrinking every month for the past year both nationally and in the Charlotte region. In fact, the national inventory of homes for sale fell year-over-year for 36 consecutive months as of June 2018. In the Charlotte, North Carolina metro area, the inventory is even lower at just 2.3 months supply. In some areas of the Charlotte region, inventory of homes stands at less than 2 months. Buyer demand continues to outpace the supply of homes for sale across the country, as well as in the Charlotte, North Carolina region. Buyer demand does not appear to be slowing down. Besides, waiting to sell will most likely only increase the competition between you and all of the other sellers who are planning to put their houses on the market once the fall selling season arrives. 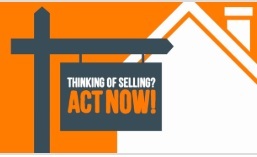 Why not sell now while demand is high and competition for buyers low? If you’re debating whether or not to list your house for sale this year, let’s get together to discuss the supply conditions in your neighborhood in the Charlotte metro area so that I can help you in gaining access to the buyers who are ready, willing, and able to buy right now! WONDERING WHAT YOUR HOME IS WORTH IN TODAY’S MARKET? If you've been thinking about selling your home, here's the #1 reason to sell your home NOW and not wait: Buyer demand continues to outstrip supply! And there's less competition now than there will be in the fall!